Yggdrasil’s timely release of Orient Express is in no doubt an attempt to capitalise on the recent film of a similar name. Murder on the Orient Express is a film based on a classic Agatha Christie crime thriller and Yggdrasil have used many familiar themes from the story in the Orient Express slot. The main draw of this slot is not its setting or characters however, it is the fantastic bonus features packed into the game. The aim is to travel all the way from Paris to Istanbul. 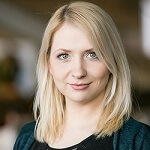 Each new city you arrive in opens up a new range of bonus features that can come into play. The slot background will change depending on which city you find yourself in but the great character design and music will remain constant throughout the experience. If you have ever played the Yggdrasil slot Seasons you will haves some idea of what to expect in Orient Express. Every game starts you off in Paris where walking wilds, which are essentially variations on sticky wilds, will appear. During standard play these wilds will pop up randomly but they will appear more often during free spins games. Venice is the next city you can visit and it features a special clock win multiplier that activates after any winning combination is formed on the reels. This clock can add a 2x to 5x multiplier to the reels. During the standard game this multiplier activates randomly on wins while during the free spins mode it is always active. The next city is Belgrade and here reels 1 to 3 can randomly become wild during the base game while during free spins these reels will automatically become wild. The final city is Istanbul. Here special postcard icons can land on the reels and turn symbols wild. During the standard game 2 to 12 icons can randomly become wild. During the free spins game between 2 and 12 symbols are turned wild after every spin. Orient Express can award players with up to 30 free spins, but you can expect between 7 and 15 as the standard amount you will win. Free Spins are an essential part of the game’s main bonus feature as you need to complete one set of free spins in each city before you can progress. Once you have visited all the cities, you will be able to choose which features you wish to activate. 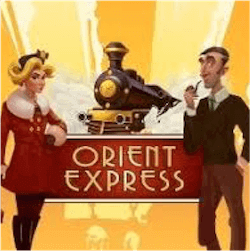 Orient Express is an excellent title available now from Yggdrasil.